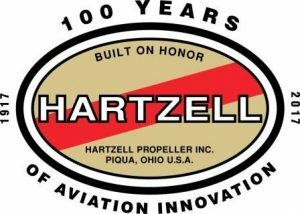 Piqua, Ohio, Jan. 9, 2018 – During the company’s 100th anniversary year, Hartzell Propeller made progress in a number of important areas and continued to expand its product offerings. The company now supplies propellers for nearly 50 OEMs, ranging from 2-blade to 6-blade carbon fiber or aerospace grade aluminum propeller systems. The company again served as the propeller technical partner for the Red Bull Air Race Championship and received propeller installation approvals for Super Cubs, Cessnas, Pipers, Supervans, Airvans, and King Airs. On the heels of a multiyear, multi million-dollar investment in advanced aerodynamics and manufacturing techniques using state-of-the-art composite and aerospace grade materials, the company today enters its second century of propeller making. With more than 500,000 propellers produced and shipped over the past century, Hartzell Propeller continues as the industry leader in propeller design, manufacturing and support. During the 2017 calendar year, Hartzell delivered approximately 3,000 propellers to aviators all across the world. 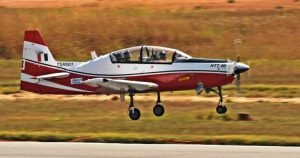 Hartzell Propeller’s four-blade lightweight aluminum propeller was selected by Hindustan Aeronautics Ltd. for its HTT-40 two-place turbine basic trainer aircraft. The new indigenous HTT-40 will replace the piston-powered HPT-32 Deepak trainer. 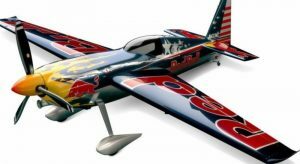 For the fourth consecutive year, Hartzell Propeller became the 2017 propeller technical partner of the Red Bull Air Race World Championship, known as the new dimension of motorsports. The company supplied propellers, governors, composite spinners, and technical support for the eight races in seven countries. Hartzell Propeller’s 83-inch composite Trailblazer propeller received a Supplemental Type Certificate for Super Cub PA-12 and PA-18 aircraft. The company, along with STC holder Pro Pilots, made the announcement at Sun ‘n Fun in Lakeland, Fla. and AERO Friedrichshafen in Germany. Hartzell’s composite Trailblazer prop received a Supplemental Type Certificate for Cessna Cardinals. The approval covers retractable gear, normally aspirated and turbonormalized C-177RG Cardinals with IO-360s and IO-390s engines. The company’s new five-blade composite swept tip prop received FAA approval for installation on the Piper M600 turboprop aircraft. 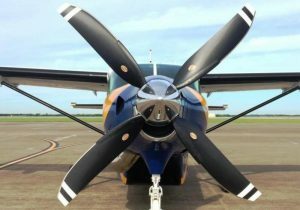 Hartzell’s newest propeller was designed specifically for the Piper M600. It features thin, maximum efficiency airfoils providing increased performance and outstanding ramp appeal. 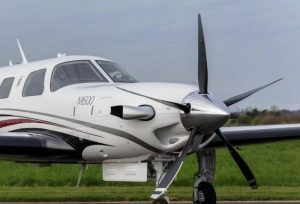 Airplane modifier Texas Turbine Conversions received a Supplemental Type Certificate for Hartzell Propeller’s four-blade composite swept prop designed for Supervan 900™ aircraft. The Hartzell and Texas Turbine collaboration combines engine upgrades for converted Cessna Caravans with Hartzell’s structural composite propellers specifically engineered for the Supervan 900. Hartzell Propeller announced it delivered more than 50 Top Prop five-blade composite swept tip props for the Pilatus PC-12 fleet. 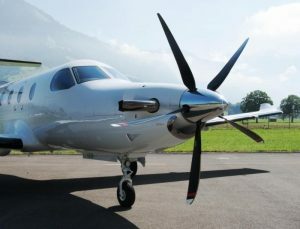 In addition to the more than 160 propellers delivered to Pilatus for new PC-12NG aircraft over that time period, the total number of PC-12s flying with Hartzell’s new five-blade propellers is more than 200. 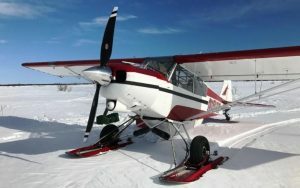 The company received an STC for its two-blade aluminum scimitar propeller to replace the factory standard prop for Cessna 177RG Cardinal and Reims F177RG aircraft powered by IO-360-A1B6(D) 200 HP engines. The props are offered through Hartzell’s Top Prop performance conversion program. Hartzell appointed the Aircraft Repair and Overhaul Plant of Civil Aviation Flight University of China (CAFUC) as a Service and Support Center in the People’s Republic of China. CAFUC is located in Guanghan City in Sichuan Province, China. 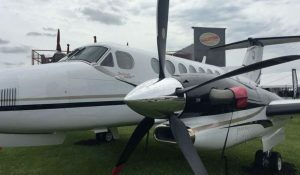 Hartzell Propeller and Raisbeck Engineering announced they are collaborating on new structural composite swept blade props for the Beechcraft King Air 350 turboprop. Hartzell Propeller’s exhibit at EAA AirVenture Oshkosh 2017 featured a King Air 350 modified by Raisbeck Engineering with Hartzell’s newest structural composite 106-inch diameter lightweight five-blade propellers. Hartzell Propeller added to its series of how-to videos for pilots and mechanics. The newest video covers the evaluation of structural composite propeller blades by describing the ins and outs of composite prop pre-flight checks for pilots. After receiving FAA approval earlier in the year, airplane modifier Texas Turbine Conversions received approval from the European Aviation Safety Agency (EASA) for Hartzell Propeller’s four-blade composite swept prop, designed specifically for single-engine Supervan 900 aircraft. Raisbeck Engineering announced it had received an STC for Hartzell’s new structural composite swept blade props for the Beechcraft King Air 350 turboprop. 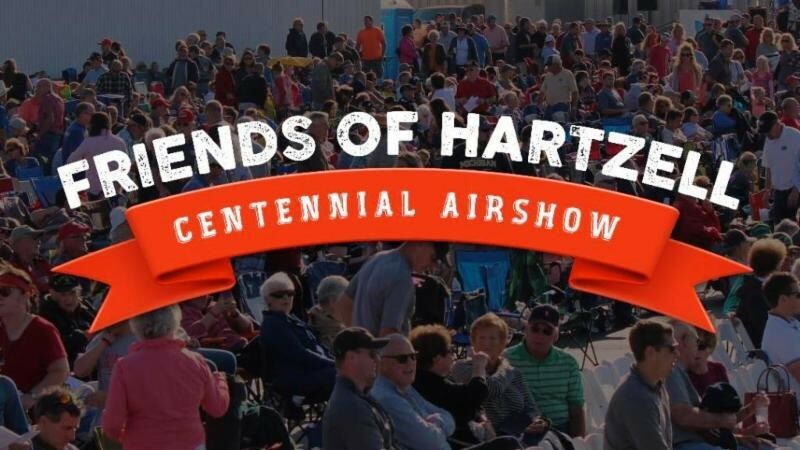 Hartzell wrapped up its fourth year as the Propeller Technical Partner for the Red Bull Air Race Championship. As part of its partnership, Hartzell provided Claw three-blade structural composite propellers to all 14 race teams competing in the Red Bull Air Race World Championship. 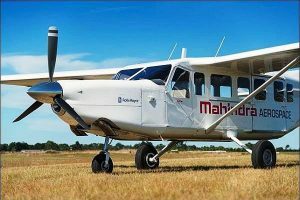 Mahindra Aerospace chose Hartzell Propeller’s three-blade, 84-inch diameter aluminum propeller for its Airvan 10 single engine turbine-powered 10-seat utility aircraft. Hartzell’s lightweight hub turbine propeller is constant speed, feathering, reversing, and optimized for an improved climb rate.